These products give you safety and parking assistance of your vehicle, cutting down blind spots to an absolute minimum. They look great and are user friendly. We Install onsite your for convenience and minimal down time. Parking sensors produce audible and/or visual warnings of object in your path when parking your car. Avoid those little scrapes and bumps in tight places. We install on site for your convenience. Cruise control when highway driving, gives you peace of mind that you won’t speed creep or have to micro manage your speed. Take the stress out of driving. We Install onsite your for convenience and minimal down time. This is a proven and effective way to protect your second biggest asset, against the environment. 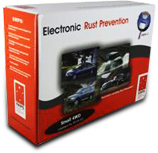 Suitable for small vehicles right through to trucks and large machinery. Have it installed onsite by accredited installer. We install on site to your vehicle. 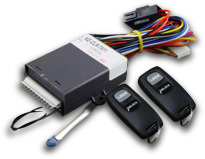 Convenient and easy to use, no more reaching over seats etc to lock and unlock your vehicle. Just a turn of the key or a push of a button and your done. Forget the stress of missing a call or using the phone while driving, risking getting a fine or worse. Hands free kits allow you to accept or reject an incoming call easily while driving. We Install onsite your for convenience and minimal down time.